Harley is the temporary cook for Brock and his ranch hands. She lost her three children and husband in a plane crash. She doesn’t want to celebrate Christmas so she took a job working for Brock. Brock has twins away in boarding school and his wife died after the twins were born. 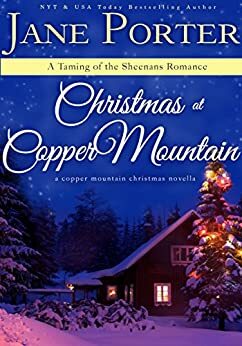 A Christmas at Copper Mountain is a heartwarming novella. This story really pulled at my heart strings and I so wanted a happy ending for Harley and Brock. Harley and Brock both widowed and dealing with their own demons about the loss they each have dealt with. Both trying hard to stay our each other's way and not pry into the past. But when Brock's twins unexpectedly arrive, it forces Harley to face her loss head on and how much she misses her children and being a mom. Brock also has to face how he has shut off his emotions and how the twins have been missing out on joyous things such as Christmas. Then you throw in the chemistry that seems to be crackling under the surface between them and whether or not they will act on it, and you have one heck of a story. Jane Porter always amazes me, with her ability to make her characters have so much depth. Porter makes me understand them even if I have never gone through what they have. She makes me feel their sorrow, their joy, and ultimately their happiness. My heart ached for Harley and Brock and smiled for them by the end. This is a touching Christmas story which warms the heart. Harley takes a job at a ranch in Montana to escape the trappings of Christmas. Three years prior she lost her husband and children in a plane crash and holidays are too hard. Brock lives with strict rules and lost his interest in Christmas, despite raising two children on his own after his wife died when they were babies. Harley wins over the ranch hands by being herself and doing things her way, which seems to go fine until Brock's kids arrive unexpectedly. Harley's first thought is to bolt--she can't handle kids, because she loved being a mother--but life has a funny way of warming the heart. Harley helps Brock to see he needs to be a more demonstrative father to his children, and Brock and his kids push their way into Harley's grieving soul. As Harley and Brock start falling for each other, they realize there's a little bit of Christmas magic, and a guardian angel pushing them to find a new life, and love together. A beautiful story written with a lot depth and emotion. This story would make a great Christmas movie. Harley Diekerhoff lost her husband and children three years ago to a horrendous plane crash. She still grieves for them. 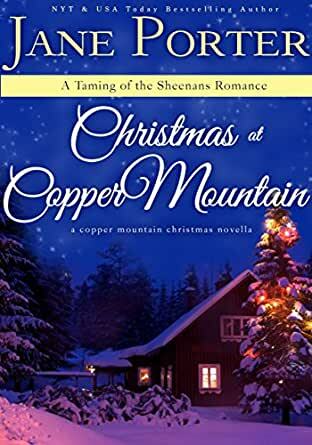 Not able to bear the holidays this year, she decides to skip Christmas with her family and goes to Marietta Montana to fill in on a temporary job working as housekeeper for Brock Sheenan on his ranch. It's only for three months. That should get her past the holidays so she doesn't have to be reminded by her family of what she has lost. She enjoys her job until unexpected guests arrive and causes a lot of memories to creep back up on her. She was just trying to work and forget her past and pain. Little does she know Christmas miracles are real and they do happen to people when they least expect it. Many angels have been working on this one. Will Harley accept the gift that has been given to her and Brock or will she quit her job and go back home just to avoid her feelings? This is a wonderful holiday story. I laughed, I cried, very well written. Jane Porter did a wonderful job pulling me into the story. Harley left California to take a temp job as a housekeeper at a ranch in Montana to get away from family for the holidays. For her, holidays were depressing because three years earlier she lost her husband and kids in an airplane accident. Retreating to a remote Montana ranch was supposed to be just the get away she needed. Brock, the owner of the ranch, had a loss of his own. After his wife died he was left a single dad of twins. What happens at the ranch between Harley, Brock, the kids, and even the rough-around-the-edges farmhands will definitely make you believe in the miracle of Christmas.